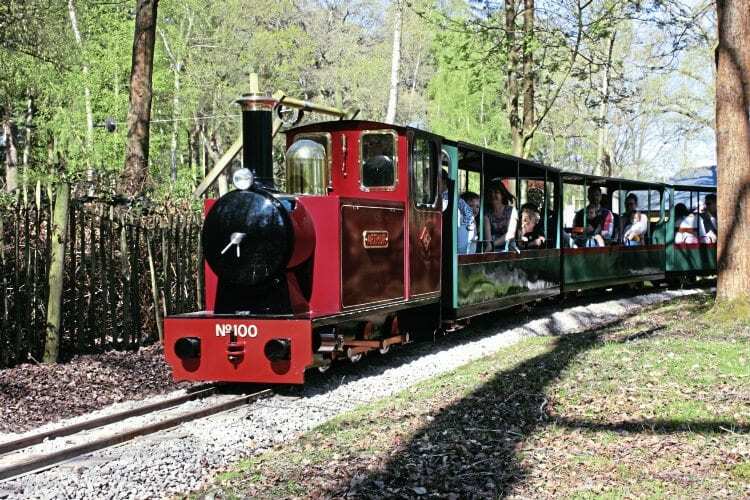 THE 7¼in-gauge line in Wellington Country Park, Riseley, North Hampshire, has proved such a popular attraction since opening in 1980 that it has been increased in capacity through regauging to 12¼in, along with incorporating new stock. Alan Keef Ltd has relayed the track and provided a new steam-outline 0-6-0DH – Arthur – which is notable as it is the 100th loco built by the company and is plated Keef 100 of 2017. Three new carriages have also been supplied. The track utilises the original 9lb/yd rail, relaid on new sleepers. The 7¼in-gauge stock was taken in part-exchange, the locos since sold to private operators, with a couple of carriages going to the East Somerset Miniature Railway, Cranmore. The first day of public operation for the new railway was April 5, with official reopening on the 6th.